I have an almost 8 year old girl who is almost as tall as me. She is wearing a size 10 already and I can’t help but wonder where the time has gone. She is truly a “tween” – and I don’t know how that happened so quickly. She loves “girly” things like pink, jewels and sparkles. She won’t hesitate to tell me when something isn’t fashionable. I guess she just knows now what is fashionable and what is not. So this holiday season, I found a new store to shop for her at. A store that features everyday low price fashions your tween will love this holiday season! This store is Justice. Have you heard of this store yet? We have this store at our local Outlet Mall and it has now become our go-to place to shop for all the best fashions. Because I have a difficult three year old at home, shopping online is just so much easier. 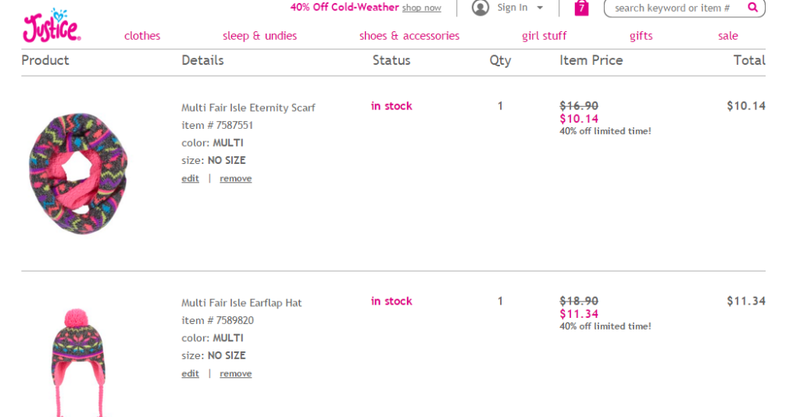 Thankfully, ShopJustice.com is an amazing website that makes shopping so much easier. There are even mores styles and sizes online. Their outfitting tool is awesome to create spot-on styles for every tween! 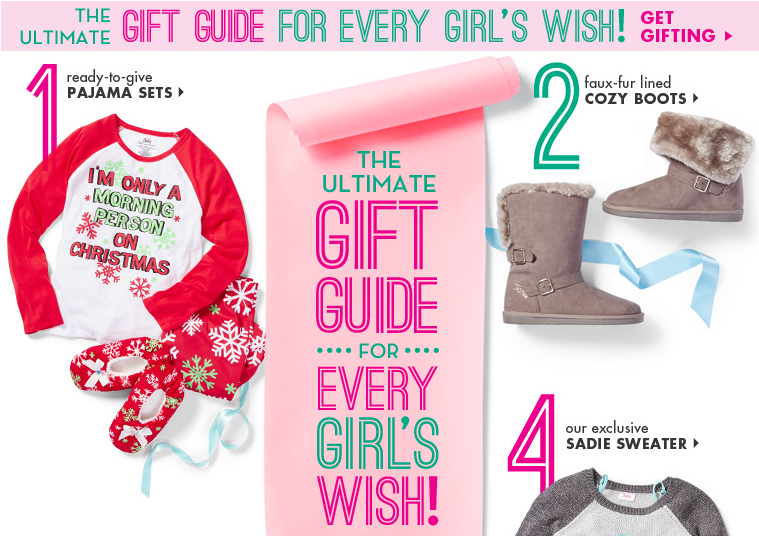 They even have a Holiday Gift Guide to make shopping even better. Who will you be shopping for on Black Friday or Cyber Monday? When she’s not at school she likes to come home and put on comfortable yet stylish active wear. Justice has so many cute active wear options. Each week, she wears a “special occasion” dress for church so I am constantly on the lookout for great dresses. 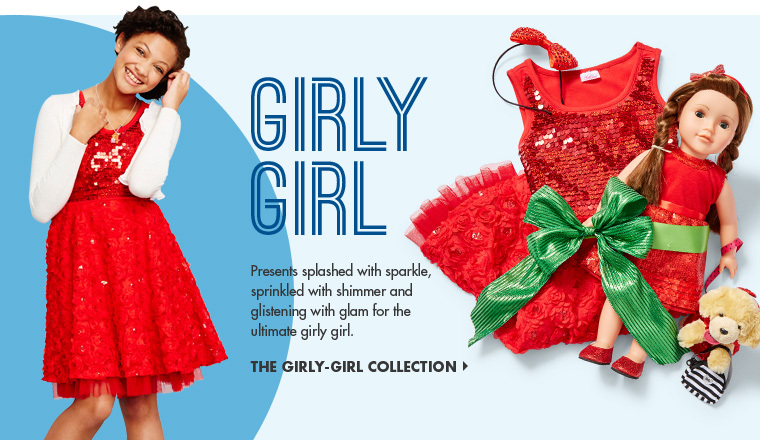 Thankfully, Justice also offers a fun “Girly Girl” shopping section online. I love finding things for her that I know she loves. I can’t get over how fashionable Justice is! Why haven’t I shopped here before? ShopJustice.com offers the perfect gifts at the perfect prices. Starting on 11/26 Justice shoppers will receive a Style Perk with every purchase. The style perk offers $15 off of a $40 or more purchase redeemable through the new year! Learn more about Style Perks here! Than you for this! My kiddo is the same age and is getting so hard to shop for! You’re welcome, Heidi. Thanks for stopping by. 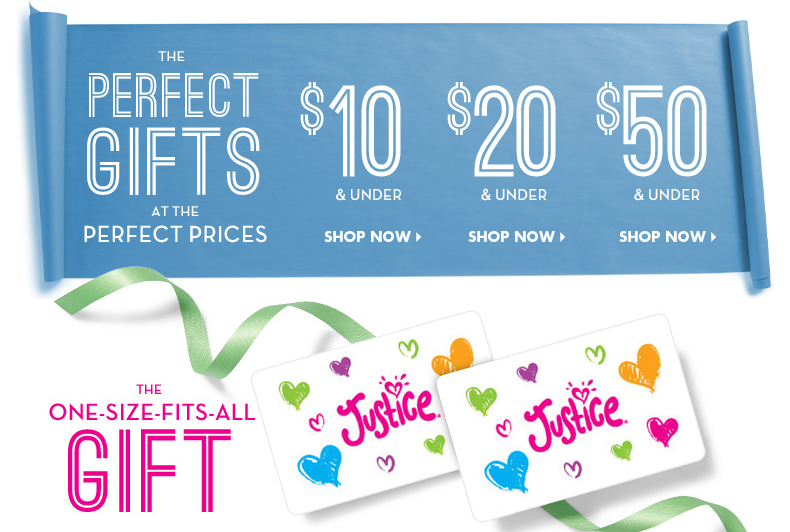 Don’t forget to check out Justice – they have GREAT deals and it is so fashionable!